Zenato: Zenato Chardonnay Santa Cristina he Zenato Chardonnay Santa Cristina is a rich, full-bodied wine with a concentrated, mild taste, where the wood is fully integrated. 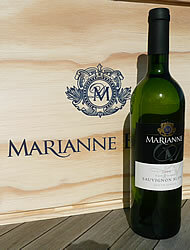 Fruity aroma with intense bouquet of flowers, dried fruit and a light vanilla. The taste is dry, balanced and persistent. https://www.weinbaule.de/white-wine-italy-zenato-chardonnay-santa-cristina-p-1720.html?osCsid=6c5f5add364e59c87a232d158bb4f279"> Wine 8.99 8005631000711 WeinBaule.de | The Home of Wine Zenato New In stock!